The giant IT Company, Microsoft is known for its innovative software solutions around the world. One can never imagine computing without the support of any Microsoft’s software. Although, there are other players in the software industry, but Microsoft is undoubted the best. When it comes to Operating System software, Microsoft Windows is the most popular name amongst all computer and laptop user. Following the same, Microsoft launched its operating system for smartphones platform. But Microsoft’s Windows Phone here failed to create that illusion which it did for computers and laptops. The toughest competition from Google’s Android Operating System for Smartphones is the biggest obstacle in Windows Phone’s success path. It failed to serve a vast number of useful applications, games and other features which Google’s Android did. Nonetheless, the Smartphone manufacturers launched a couple of Smartphones running on the Windows Phone operating system. The list included the number one brand Samsung, Nokia and HTC. In the year 2013, HTC and Nokia launched a couple of Windows Phone Smartphones. Samsung didn’t launch any Windows Phone in 2013. But the ones from HTC failed. The Finnish Smartphone manufacturers, Nokia who develops high end Smartphones only on Windows Platform managed to get an appreciable success by selling the Windows Phone. This also suggests that Nokia and Microsoft’s Windows Phone OS are currently walking together along the path of success. 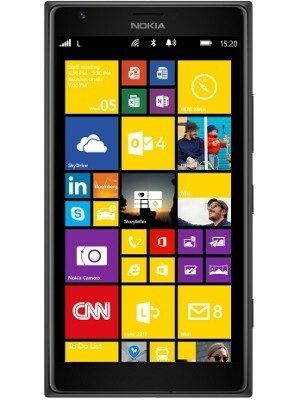 The Chinese manufacturer, Huawei is soon going to launch an affordable Windows Phone 8 in India. Tech blog techgreet.com has posted a complete report on this upcoming launch. Read more on the Huawei Ascend W2. Here, we bring you top 5 Windows Phone Smartphones of the year 2013. We found that only Nokia’s Windows Phone were only eligible to get a position in our list. Hence, we eliminated those from HTC.